However you may feel about it, your servers are EOL and it’s time to make a decision. Let’s take a look at what exactly “end of life” means, and what the best options are for a Canadian law firm in your position. The typical lifespan of a server is five years. During this time you can expect optimal performance with regular updates and support from the manufacturer, and your equipment is covered under warranty, should something break down. Understanding your server’s life cycle will help you to understand and predict how much value you will get before its operation becomes too risky or too expensive. When your server’s life cycle is up and your warranty expires, eventually components will begin to break down and you will start to experience performance issues. Data storage often becomes a significant issue for law firms: older systems don’t have the capacity to support large amounts of digital files. A lot of research, planning and capital expenditure went into your current hardware, so it’s understandable why you would want to get as much from this investment as possible. Many IT service providers offer packages to extend the lifespan of your equipment; this involves part replacement, updating, security patching and renewing licenses, extending hardware warranties through third parties and negotiating extended support from the manufacturer. These services are often reasonably priced with an objective to procure another 1-2 years from your system, and you don’t have to worry about the day-to-day maintenance. Newer operating systems (OS) such as Microsoft Windows 10 or Linux Ubuntu may not work with older equipment, forcing you to use outdated versions that are less secure, less reliable and more difficult to fix. Eventually you will experience conflicts with your practice software, again forcing you to use versions that may have reduced functionality and support. For example, the popular legal software LexisNexis® Time Matters® no longer works with SQL 2005 & 2008 and MS Exchange 2007 servers. Firms that operate on these applications have to upgrade in order to continue receiving software support from LexisNexis. Under new warranty, replacement parts can be ordered 24/7 and usually within 4 hours time, ensuring minimal disruption to firm operations. Part replacement for old hardware can be costly and time-consuming. It can be difficult to source older parts and it takes time to ship them – if a part were to become hung up in customs, it could result in several days of downtime for your firm. Some companies offer third-party warranties with varying terms of service, however there are no guarantees that your parts can be replaced and your data safely recovered. According to LawPro, law firms are appealing and sought-after targets for cyber criminals. Risks are even greater and are far more complicated with older tech that no longer receives regular support and updates from the manufacturer. Blue chip companies set high data security standards for their vendors, and law firms are not excluded from these expectations for compliance. Firms who have opted to extend their system hardware may find it difficult to satisfy the requirements of these prospective clients, hindering business development. Pros: Gets you more from your initial hardware investment, short-term cost savings. Cons: Short-term solution only. Risky. Difficult to manage, even when outsourced. Unexpected costs are likely. Limits future software integration/optimization and scalability. May fail to meet client security requirements. 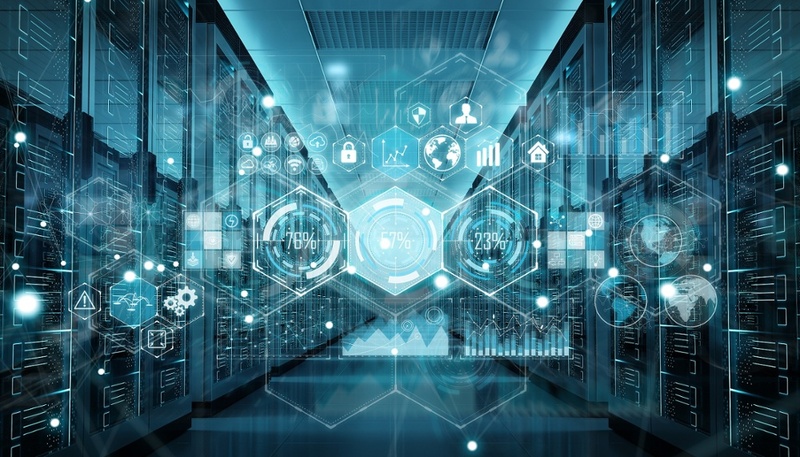 If your servers are not yet EOL and you have time to research a new system, purchasing new onsite IT is considered the traditional approach for many mid-size to large law firms. The two major benefits of starting from scratch with new hardware is that you can customize it to the needs of your firm and you can count on reliable, secure operation (as long as you work with an experienced, reputable provider). With the right implementation and IT management, everything should be working optimally and be covered by warranties. You will have to purchase and configure new servers for data applications, backup, and security. You will also have to purchase and configure an operating system and an email server, and you may require new desktop hardware, including computers, laptops and mobile devices. You will require a secure, temperature controlled, ventilated space to house your servers. Lastly, your practice management software will need updating to ensure it works optimally with your new system. Investing in a new system every five years, before your hardware becomes EOL, is a fairly safe option. New hardware will receive the necessary patching and updates to keep cyber threats at bay. Security management is another issue, however; your system’s security must be carefully planned, regularly monitored and expertly managed in order to adequately protect your clients’ data. When working with an IT managed services provider, it’s important to determine whether they understand how law firms are unique from other businesses. A specialized legal IT provider should be familiar with the challenges and priorities of your firm as well as how you operate on a daily basis: this is essential, as you require a system that is capable of supporting all firm functions. For example: litigation practices require large amounts of storage for digital documents; most Canadian legal practice software require a Windows server; and lawyers require a secure and reliable remote desktop solution in order to stay productive outside of the office. Keep in mind that these features can bring additional costs that won’t be included in a non-specialized IT provider’s quotation. Pros: Customized to your firm’s current needs. Optimal performance, security and reliability. Hardware is covered by warranties. Cons: Expensive upfront capital expenditure. The lifecycle is limited – your hardware will be EOL again in 5 years. Servers take up physical space and resources. Can be difficult to predict IT needs over next 5 years. More expensive than hardware extension. Still considered new and unfamiliar by some standards, Canadian firms have actually been using Cloud IT for close to a decade, and more and more are adopting it specifically because it’s so well suited for law practice. Cloud IT is a highly secure and reliable solution, when done right. Users can easily and securely access all firm files and applications, which are stored offsite in a secure data centre, from almost any device and from anywhere they have Internet access. There are very few requirements for moving to the Cloud; you don’t have to invest in servers as all infrastructure is owned and managed by your Cloud provider, while you retain ownership of your data. This means there are no upfront costs or capital expenditure; most Cloud providers offer a fixed monthly rate that covers both equipment and service. The Cloud breaks you from the endless cycle of equipment upgrades – no more EOL servers. As the cloud becomes more popular with law firms, more legal IT providers are now offering cloud-based solutions. It is critical that you thoroughly research your provider to ensure they are have deep expertise in cloud IT and that they are able to deliver cloud services securely. Ideally they should own their own hardware: many part-time cloud providers lease their equipment from a third-party, which can have significant implications for a law firm – implications such as not retaining custody of your data or having the ability to provide immediate access to it, being unable to resolve problems quickly and flexibly, and not being 100% accountable when things go wrong. They should store their equipment (which hosts your files) in a professional data centre, ideally on Canadian soil. They should regularly monitor, test and manage security patches, upgrades and data back-ups. Like traditional on-prem IT providers, your cloud provider should also understand law firms’ unique security requirements and operations. They should be particularly knowledgeable about the practice software your firm uses to identify potential vulnerabilities or conflicts with their system. Because it's so easy to upgrade your system with up-to-date programs and applications, security compliance is rarely a major obstacle for firms in the cloud. Also, technology can easily be scaled up or down to suit your business needs, providing agility where other IT solutions are more restrictive. Cloud IT is a simplified, safe option for law firms. Interested in learning more? Download our free eBook, 7 Reasons to Upgrade to Cloud IT. Pros: Reliable performance. Predictable costs. Hassle-free maintenance. A long-term solution that forgoes the EOL life cycle. Easy scalability. Up-to-date tech ensures software compatibility. Accessible and mobile. Cons: Unfamiliar territory for some firms. Data is stored elsewhere. Due diligence is required when selecting a provider. More expensive than hardware extension but short-term costs are comparable to purchasing new infrastructure.